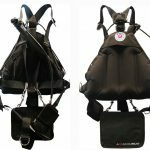 Technical diving is increasingly becoming more mainstream as a diving activity; that is a good thing. 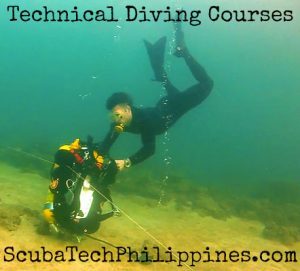 Many more divers are now opting to pursue tech training as a means to increase the range of their potential diving and enjoy new experiences in their favourite hobby. 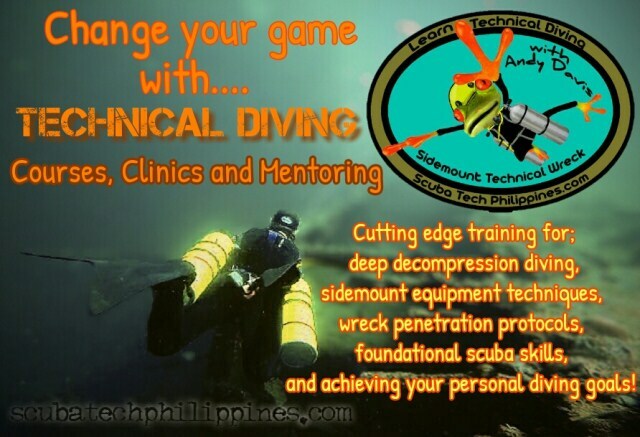 However, many divers find the transition from recreational to technical diving to be a significant challenge. Proper preparation in advance of your tech training can help ensure success and empower you to get the most out of your class. 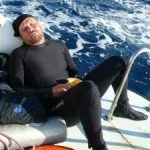 Here are my four key tips for effective preparation for technical diving training. Get familiar with the kit. 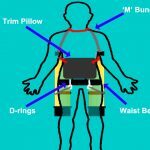 Get into the right kit, as early as possible, and get intimately familiar with it. 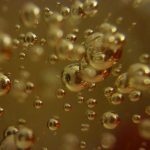 Equipment familiarity reduces task loading – and that’s a critical factor in tech training. 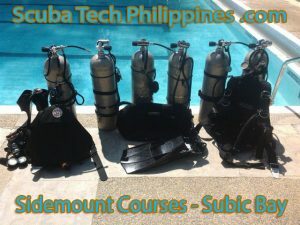 Sidemount divers have an advantage in this; as they can get trained early as recreational divers – but you can do the same in backmount with an ‘intro-to-doubles’ type of course. 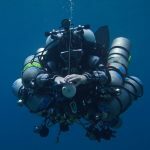 Don’t forget the small things – show attention to detail – get used to using your (tech) dive computer properly; get gauges bungee-mounted, get appropriate fins (and spring straps), resolve your hose management, tidy up your pockets and accessories, learn to deploy a DSMB in seconds etc etc etc. Do effective research online to help equip yourself with appropriate tech equipment in time to allow yourself to gain effective familiarity with it before tech training. Make contact with your technical instructor long before training and consult with them about what equipment is best. Different instructors might give varied advice, but a good instructor will always be willing to spend some time advising you and answering your questions. Tech Instructor’s Tip: I see that student’s get distracted from learning new skills and procedures when they struggle and get frustrated with the basic operation and function of their equipment. Quite often, the distracting equipment is stuff that the student could have mastered long before tech training commences. 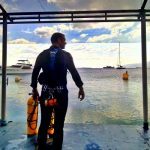 What Others Are Reading Scuba Q and A: What's The Best Advice For Someone Starting Open Water Diver Qualification? 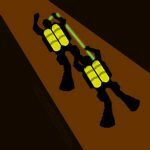 Tech training is challenging enough without the frustration of not being able to clip a bolt-snap onto a D-ring quickly and by feel alone, or get a slate out of your pocket, or remove your BCD in the water… and every other minor niggle that you’ll encounter unless you’ve practiced and begun to ingrain that intimate familiarity in advance. Buoyancy, trim, propulsion and awareness need to be ingrained and consistent. This goes far beyond simply being able to demonstrate proper form on demand – but rather; making it an instinctive and continual approach to how you dive. Your foundations shouldn’t degrade when otherwise distracted by learning/demonstrating new skills and procedures. 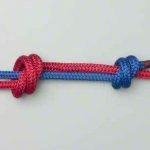 Start to apply uncompromising standards to your fundamental skills on your recreational dives and critique yourself if those skills lapse or can be improved (they always can….). If unsure how to develop your foundations, then do look into doing specific preparatory training to achieve this goal. It will pay dividends later on in your overall progression through technical training. Tech Instructor’s Tip: I’d rather see a student with consistently good fundamentals, than a student with occasionally great skills. Consistency, even when task-loaded, counts for a lot. 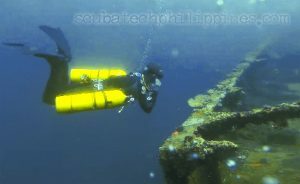 Many divers think that great buoyancy and trim is about focusing 100% on the skill (and getting some nice photos to show off on Facebook). It isn’t. 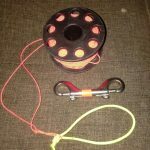 Great buoyancy and trim are about maintaining your depth and position in the water without any conscious effort or focus… so that you don’t lose control whenever you give your attention to another task, skill or drill. You get taught emergency skills during Open Water training, then later on your Rescue Diver course. These skills will fade if not maintained through diligent practice and repetition. On tech training you will be expected to demonstrate more refined versions of these skills – so do make sure that your basics are ‘up-to-speed’ before you should hope to develop more advanced versions of these skills and protocols. What Others Are Reading Are You A Prestigious Diver? 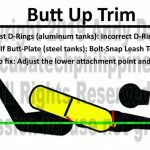 Important skills to refresh are mask removal/replacement, air-sharing as donor/receiver, diver tow/raise and equipment removal/replacement underwater and at the surface. Tech Instructor’s Tip: I see that student’s struggle with basic skills that haven’t been maintained since they were first learned earlier in the divers’ education. 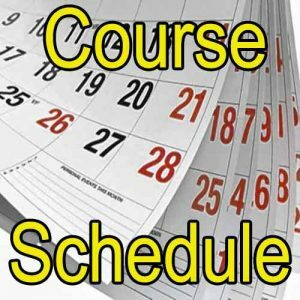 When courses list prerequisite qualifications, there is an expectation that the student can actually demonstrate mastery of the skills taught in those courses, when they arrive for training. Don’t underestimate the impact of skill fade on important, but rarely used, skills. 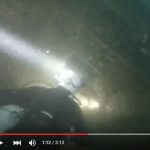 Technical diving training is not supposed to be a refresher for basic scuba protocols. 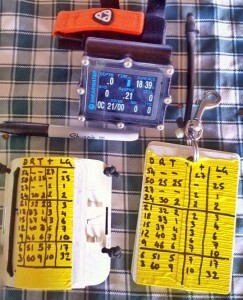 Technical diving is all about precision diving and attention-to-detail. That approach is rarely fostered on recreational diving courses; it’s almost discouraged during recreational fun diving in some locations. Go back to basics and diligently apply the philosophy of ‘Plan your dive – Dive your plan’. Get used to thinking through potential risk factors and have a plan to mitigate them. Learn how to calculate your SAC/RMV and start doing some basic gas management for your recreational dives. Set yourself challenges to plan and predict your dives, including gas consumption – and see how close you can to those plans and predictions on the dives. 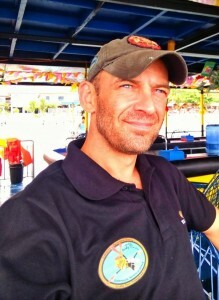 Tech Instructor’s Tip: The biggest change that I have to empower is that of diver mindset. 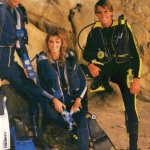 Recreational diving is very forgiving in nature; this promotes a casual approach to planning and conducting dives. Some divers find the necessary mental transition to unforgiving technical dives to be an intellectual struggle. 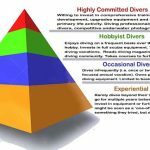 Start early in developing a risk-adverse, precision-minded approach to dives. 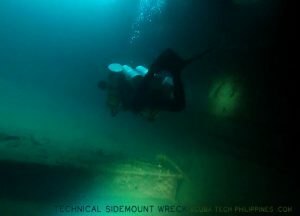 At the end of the day, technical diving is about how you dive, your mindset, not how deep you go, or what kit you use. 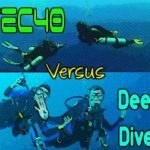 If you dive like a technical diver, on whatever dives you enjoy, then you’ll be getting into the right mindset for technical diving training. 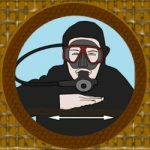 There’s a lot you can do to prepare for technical diving classes. 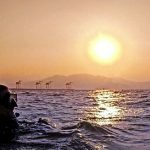 Much of that preparation can be achieved by simply striving to apply technical diving standards and approaches to your current recreational diving activities. 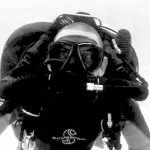 Experience is vital if you want to achieve success in technical diving training – but do remember that quality of experience is what really counts. 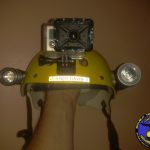 Bad experience; sloppy discipline, weak fundamental skills, faded emergency protocols and non-similar equipment, doesn’t contribute to developing your preparedness for tech diving. Bad habits and practices can actually detract from your readiness for advanced diving. I consult with all of my students far in advance of their training. 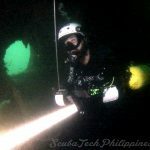 I encourage them to ask questions and I write resourced (ebooks and guides) that help them prepare effectively…and select the right equipment… for their future training.When looking for a technical diving instructor, make sure that they are motivated to help you prepare effectively, in all respects, for your class with them. 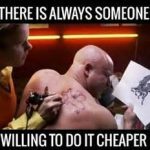 If they don’t care about your pre-course preparation, then they probably won’t care about the best standards they can achieve with you in the class itself.